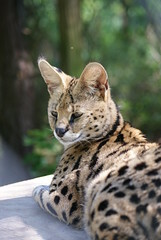 Hobie was formerly a privately owned pet who became too much for his owners to handle. 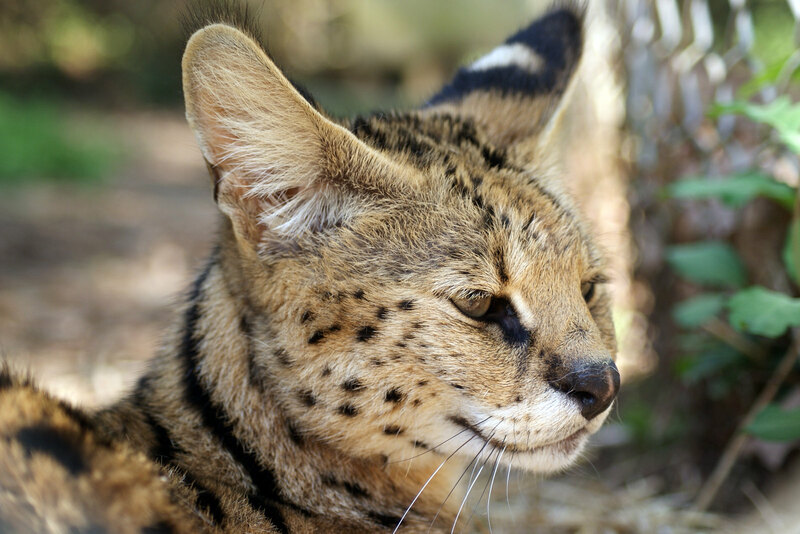 Hobie had to have several surgeries before he was rescued because he continued to chew on and eat things that he should not have, like shoes and socks. He enjoys catching snakes that slither into his enclosure and mice that try to scamper by. 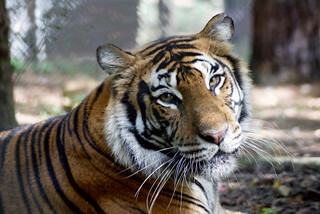 Hobie is comfortable in his quiet enclosure next to Max Tiger away from the tour path, but he enjoys regular visits from staff and volunteers. 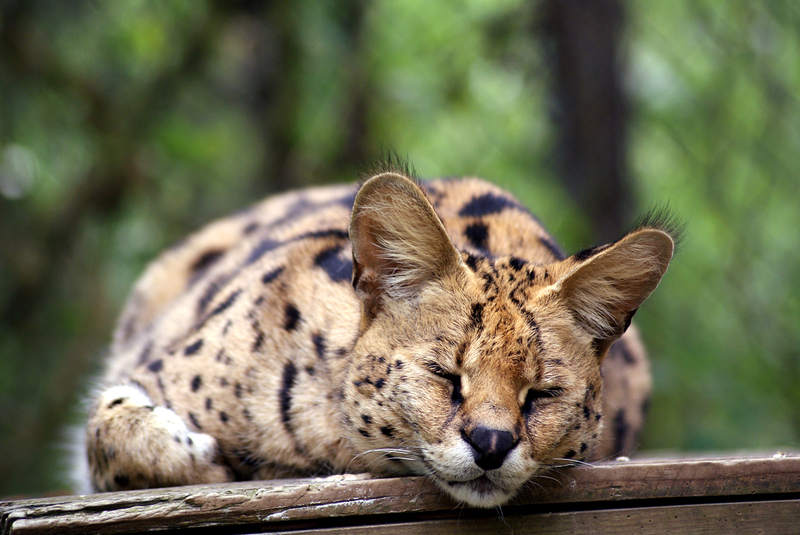 Hobie was once a privately owned pet in Asheboro, North Carolina, where he was kept in a 8x8 dog crate. 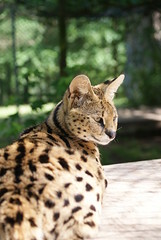 His former owners found that once Hobie started to mature he became very aggressive toward the owner's husband. 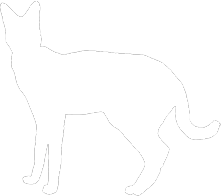 Hobie also had a bad habit of ingesting household objects, such as socks, that would require surgery to remove. 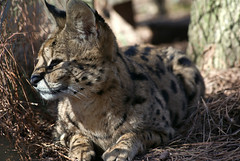 When his family decided they could no longer care for him, they contacted Carolina Tiger Rescue. 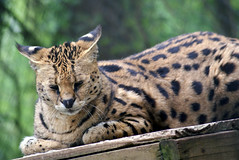 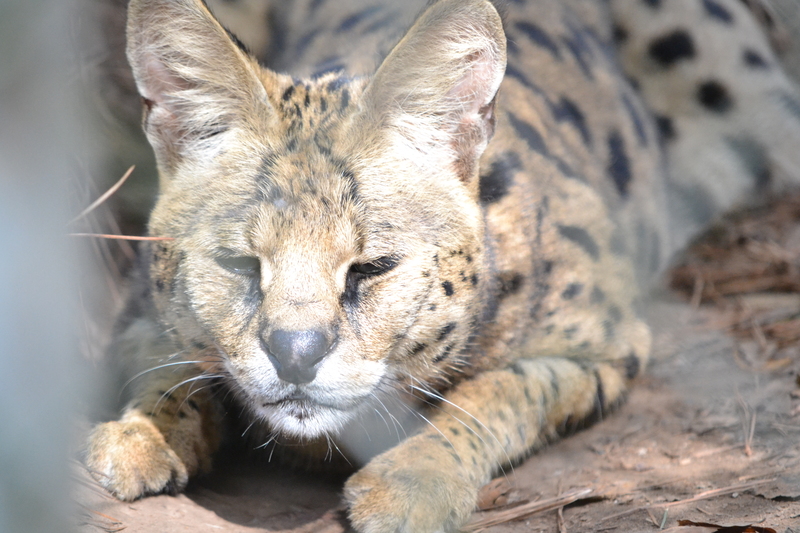 Hobie now enjoys his large outdoor enclosure where he is free to be a serval. 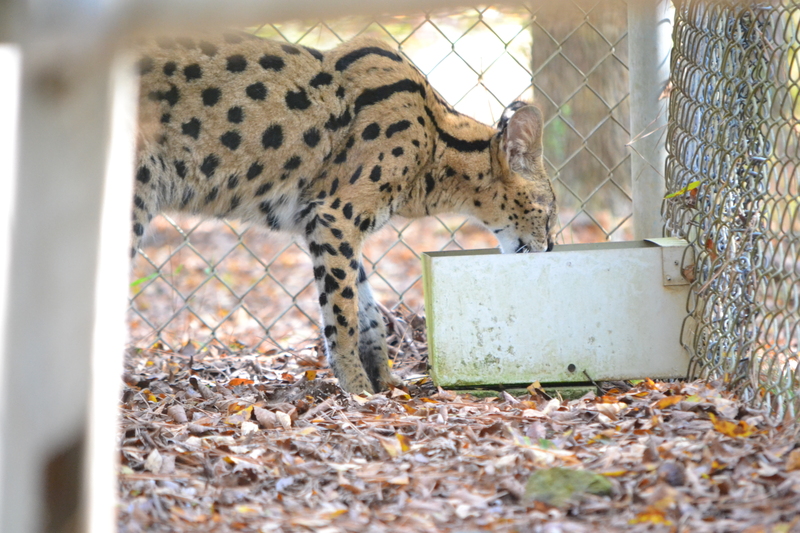 Hobie has a bad habit of trying to eat inedible objects. Keepers have had to remove items from his enclosure more than once when Hobie decided to try to eat something that he shouldn't. 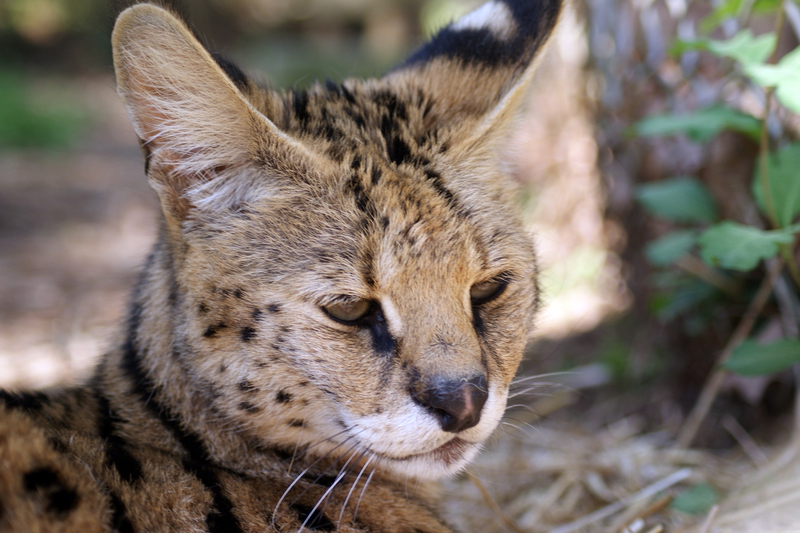 Hobie enjoys his peaceful enclosure off the tour path, though he does love to come up and greet his adoptive parent, volunteers, staff, and keepers when they stop to visit. 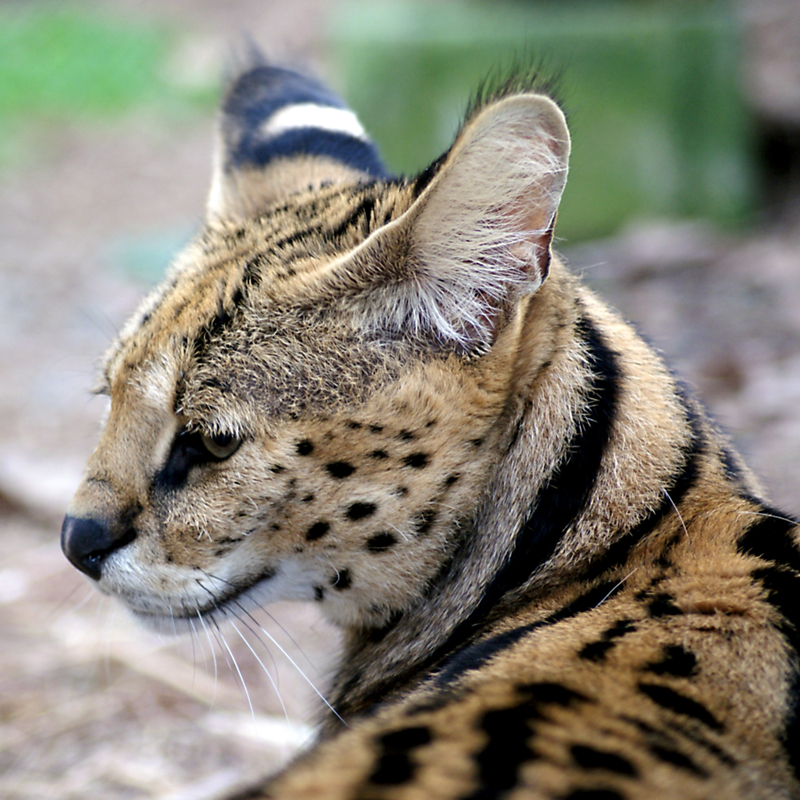 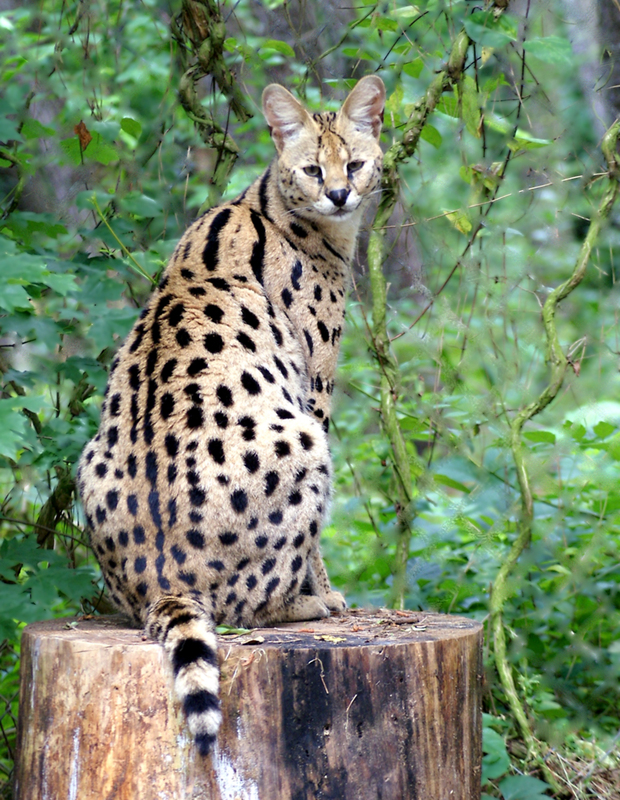 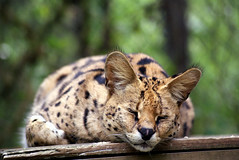 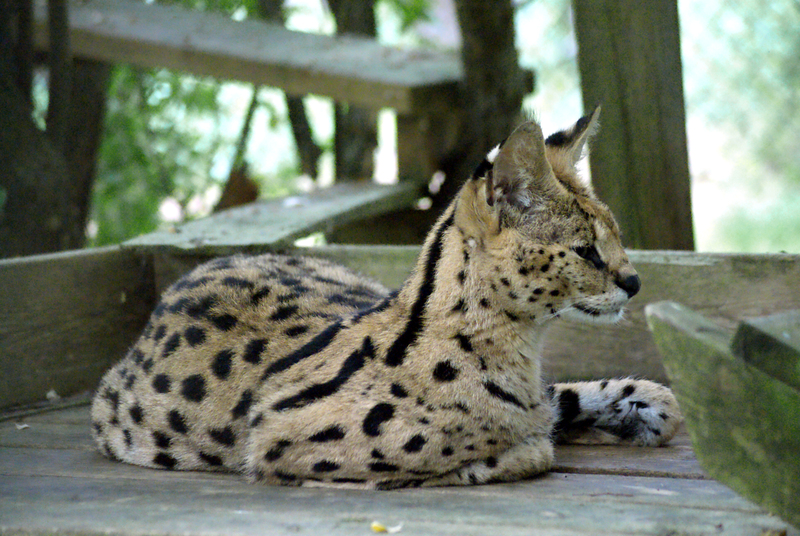 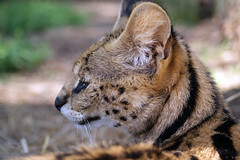 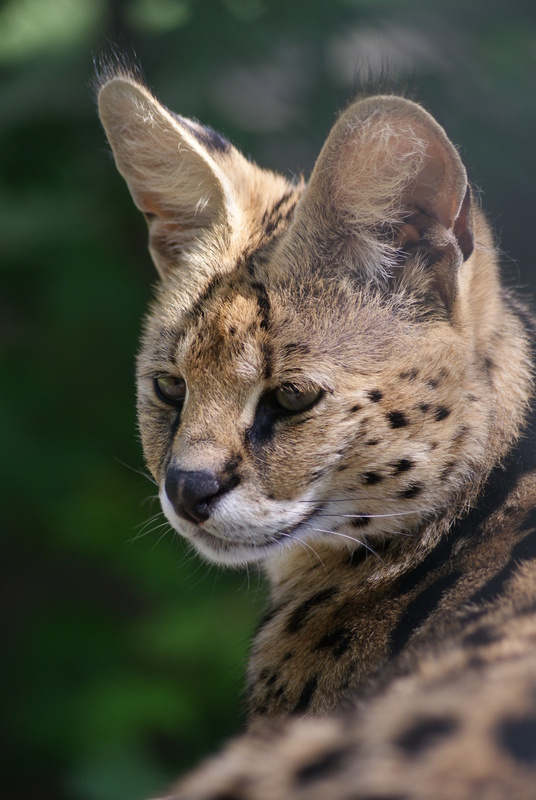 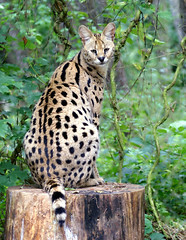 Hobie is the typical size for a male serval, weighing around 30 pounds. 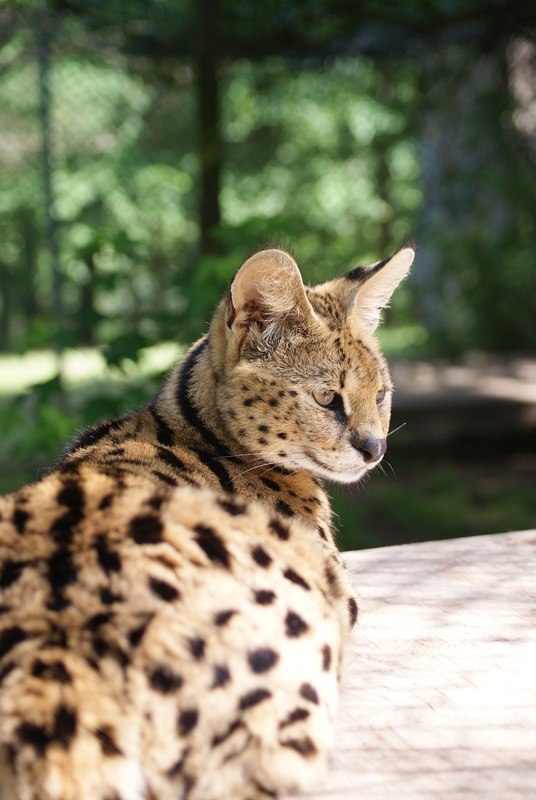 Hobie has the distinctive yellowish, spotted coat that makes some guests think they are seeing cheetahs. Hobie is located in Mimosa Point near Max Tiger. 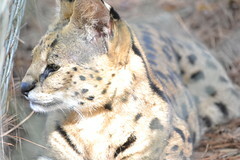 He is off the tour path due to his aggressive behavior towards larger groups. North Carolina is one of four states were it is still legal to own a non-native species. 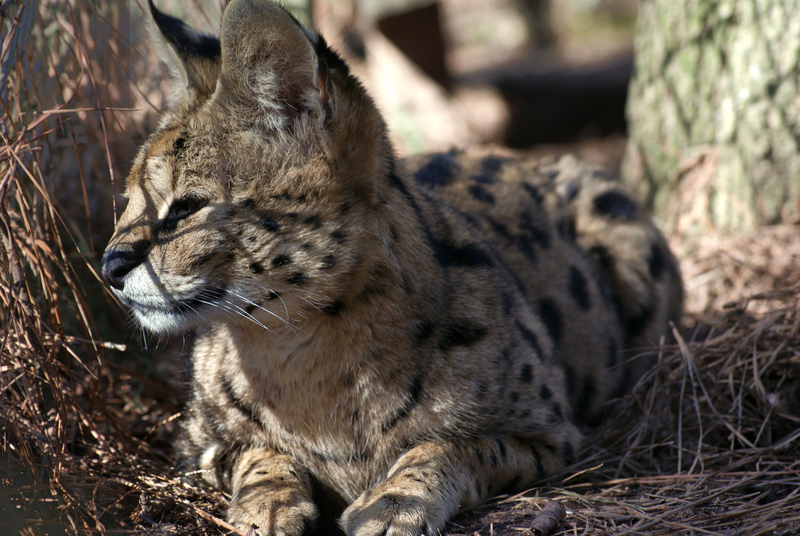 In other words, it is legal in North Carolina to own a lion, tiger, or other wild cat. 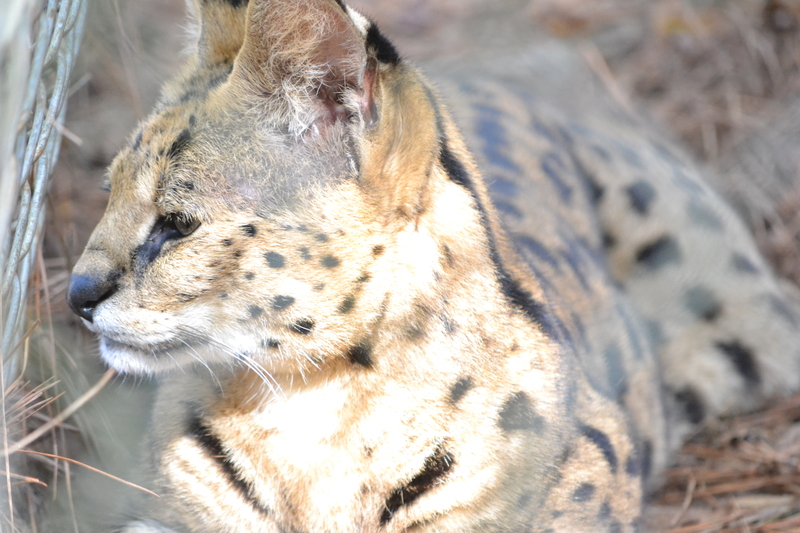 Hobie's story is a direct result of this lack of legislation. Due to how easily animals such as Hobie can be acquired, people are obtaining them as pets and then realizing, sometimes at the expense of a human life, or the animal's life, that this isn't a good idea. 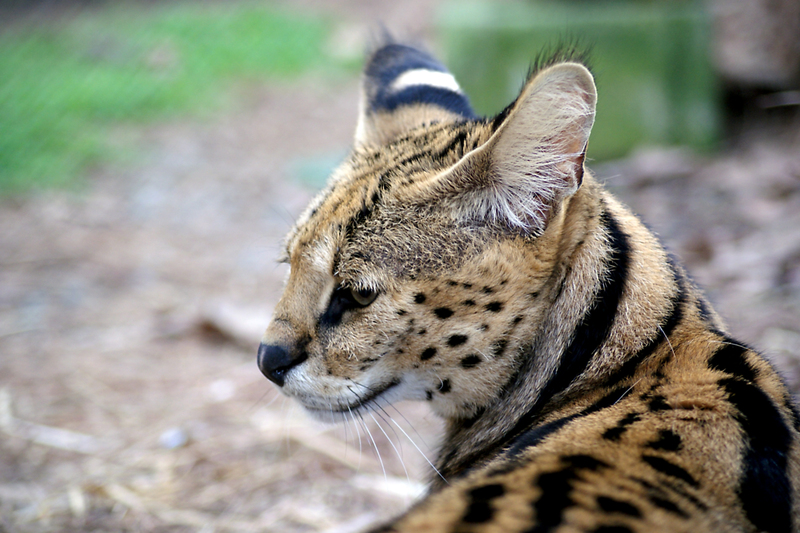 Animals such as Hobie deserve to be respected as the wild animals they are.